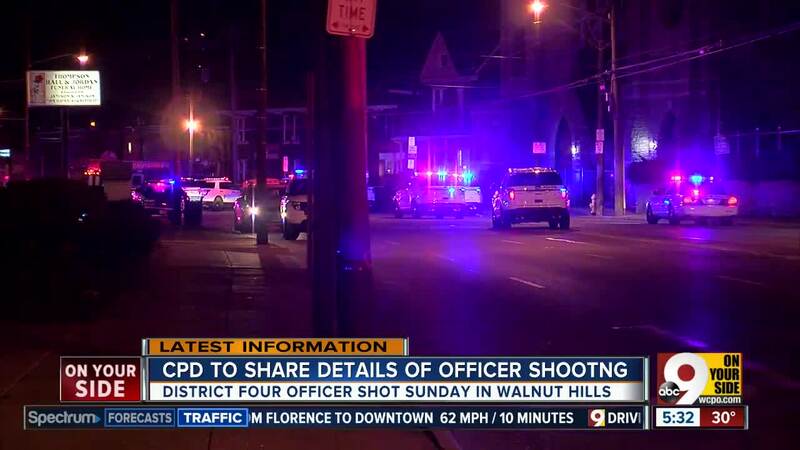 CINCINNATI -- Cincinnati Mayor John Cranley called Sunday's shooting of a Cincinnati police officer in Walnut Hills an attempted "assassination" and "ambush." The mayor made the statement at a news conference Monday alongside other city officials who promised to aggressively prosecute the man accused of shooting at law enforcement. "This is not OK. 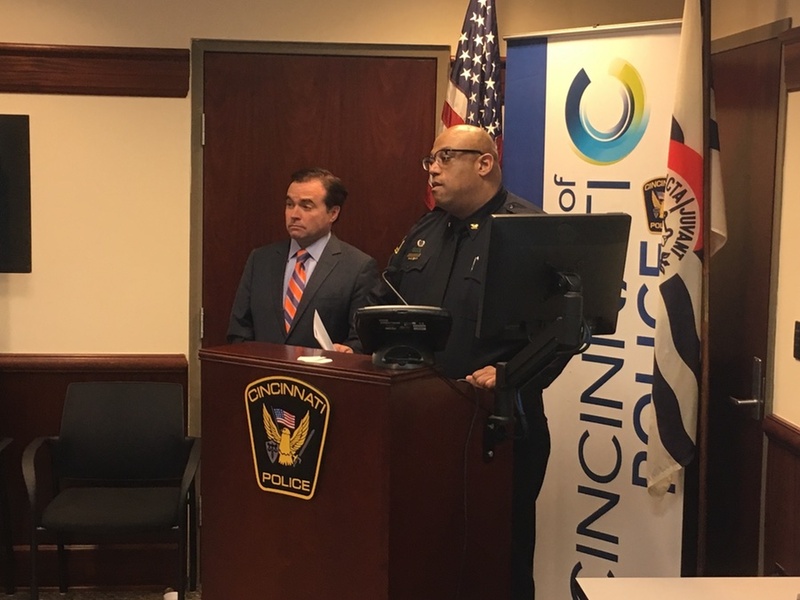 This is not OK to be shooting at cops, and we won't stand for it," Mayor John Cranley said. "We're going to throw the book at this guy." Cranley and Isaac talk about the shooting Monday. 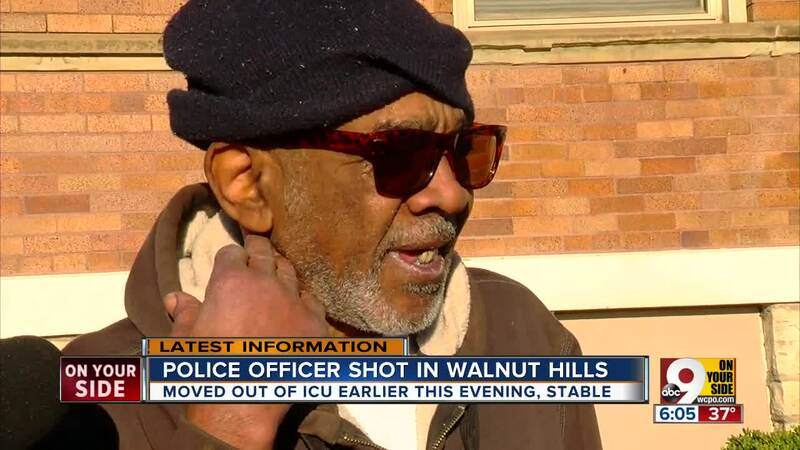 Cincinnati Police Chief Eliot Isaac said District 4 Officer Kenneth Grubbs was shot early Sunday morning in Walnut Hills after responding to a domestic violence call with his partner. 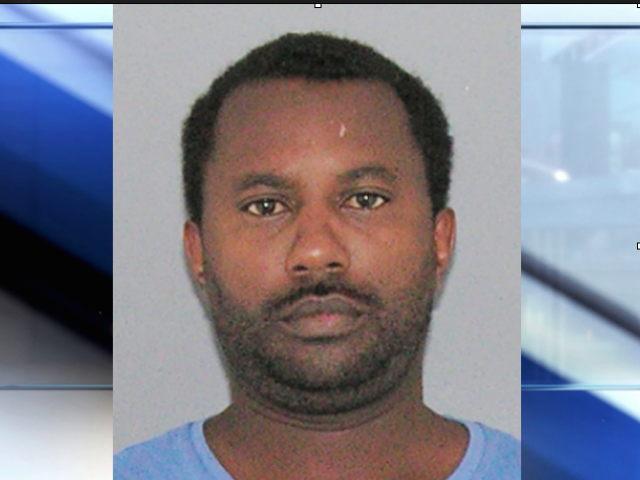 Damion McRae , 37, is accused of firing at Grubbs and his partner outside a Gilbert Avenue apartment complex between Taft Road and Lincoln Avenue. Isaac said McRae hit Grubbs once in the abdomen. The other officer was not hit. "This was clearly an ambush," Cranley said. "This guy just started shooting at cops. He was 10 feet or closer, and he just started shooting." The officers fired back at McRae, striking him multiple times. Emergency crews took Grubbs and McRae to University of Cincinnati Medical Center for surgery. Neither suffered life-threatening injuries. Still, Grubbs has a long recovery ahead of him, police union president Sgt. Dan Hils said. "His injury is a very painful injury. It's a very painful injury, and it's going to take some time to recover," Hils said. "He's not going to be able to go back to work. There's going to be some time involved in healing, not only physically, but emotionally." Grubbs has been involved in on-duty shootings in the past, Isaac said. He joined the Cincinnati Police Department in 1998. "I don't know the specifics, but I know he has been involved in officer-involved shootings," Isaac said. "But he works in District 4, and they have a lot of violence." McRae is charged with attempted murder and gun charges, Isaac said. "I can't speak to his mindset, but very clearly he was willing to face anyone he encountered," Isaac said. "That was very evident by his actions." Court documents show McRae has a long criminal record. McRae should not have owned a gun, given his criminal history, Cranley said. Cranley said the shooting should help "start a dialogue" about getting illegal guns off the street. "I mean, did you see those guns? No one needs those," Cranley said. Isaac said McRae had a .22-caliber rifle and a 9MM carbine. He said there is body camera footage of the gunfire exchange, but the Hamilton County Prosecutor's Office subpoenaed the footage. "It hasn't been long since Sonny Kim was assassinated, but this was a near-assassination," Cranley said. "I want Cincinnatians to go around and thank police officers for what they do." Web Editor Greg Noble contributed to this report.